In recent weeks I have shifted my attention to Cleveland’s gang problems. Especially the television news people have focused on one gang in particular, the “Heartless Felons.” It is true that this gang has large numbers in the Ohio prison system, and they have drawn the attention of the county prosecutor’s office. But I wanted to hear how bad the situation was, really. In searching for information about the gang, I stumbled upon a rapper who says he is affiliated with them. 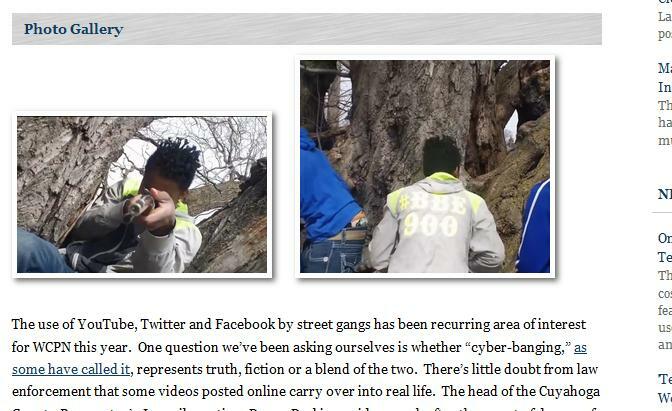 And that opened my reporting up to a niche research area: gangs and social media. His material is full of Heartless Felons imagery, signs, calls, locations. He is from a county housing project at Cedar and 30th, and he describes presumed drug activity on nearby 28th. Ideastream is uniquely equipped to cover a story from multiple angles, and as I looked more and more into gangs, it was clear there was enough to talk about to broaden the conversation to longer-form. 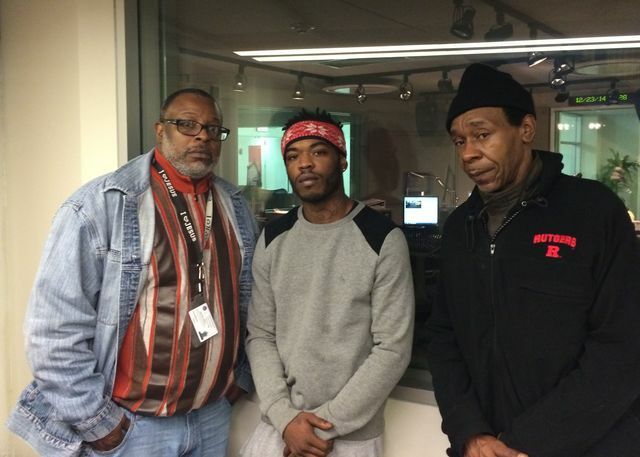 Our talk show, The Sound of Ideas, embraced this, and host Mike McIntyre used my reporting as a starting point for a candid discussion with an activist, professor, and three former Cleveland gang members. Later in the day, I continued our look at gang issues with an interview with another former gang member, who eventually joined the Boys and Girls Club as a mentor. As a kid I thought being a part of the King Kennedy Gang…was the only thing I could do. If I’m a part of King Kennedy that means I’m wanted, I’m loved, I’m able to make money, I’m able to do anything. But not knowing that if it was a case that I passed away, or was killed, would those guys be there to take care of my mom? My brothers and sisters? No. At the end of 2014, the Cuyahoga County Prosecutor’s Office filed a 299-count indictment against suspected members of a street gang aged 13-34. In announcing the indictment, the prosecutor said social media played a key part in the gang’s propaganda strategy. This announcement came after my first reporting on gangs and social media, but seemed to illustrate what my sources had been talking about. I’m incredibly proud that we could look at this issue in a comprehensive way, and while the reporting can never cover absolutely everything, I feel like our contributions helped further the dialogue. This kind of treatment of important topics is where public media excels, and must continue to excel.